I love cute stuff. Even though I’m not nearly as “girly” in everyday life as my designs might suggest, I simply love cute stuff. Sometimes people will tell me, “Your designs are so ‘cute’.” I love that, because did I mention I love cute stuff? But I never want the conversation to end there. Each doodle and painting–no matter how “cute”–has a purpose behind it to outlast cute trends. My hope is that a design would comfort and encourage the recipient. Some designs are made for those facing trials, while others are made to celebrate life’s joys. Music has always been a big influence in my life, and many designs come to me while listening to good music. But all designs are from a deep place in my heart, and are intended to please not only the eye, but the soul. One of the first Bible verses I doodled was Ephesians 2:8, “For it is by grace you have been saved through faith. It is the free gift of God.” Sitting by the pool in the summer of 2013, I doodled “Saved By Grace” in my sketch pad. Upon seeing a life preserver nearby, I knew that was the image I wanted attached to this verse. The perfect reminder that I am rescued by God’s grace. I often draw reflections of my home state, Mississippi. 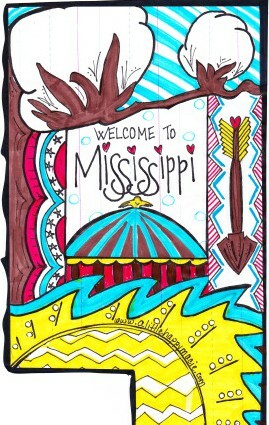 The first Mississippi design was doodled on some old Kindergarten-lined paper. I was just doodling cotton bolls and kept going to create this fun collection of things that remind me of Mississippi. The cotton, the river, the coast, the capital and the Choctaw tribe. I never knew I’d end up selling this as a print! If I had known, I may have cut it into a more exact shape, but it is what it is–a doodle on Kindergarten-lined paper. One particular season of life I found myself strapped for time and pulled in a million different directions. I just wanted to slow down, and in my quiet time one day doodled a snail. I named him “Slowpoke” then began looking up scripture references for my new friend. 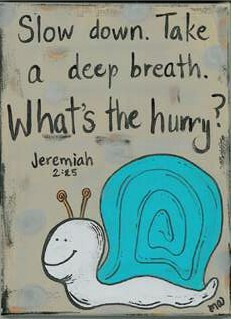 While many verses can complement Slowpoke, Jeremiah 2:25 hit home. It reads, “Slow down. Take a deep breath. What’s the hurry? Why wear yourself out? Just what are you after anyway?” That’s not all, however, it concludes with, “But you say, ‘I can’t quit! I’m addicted to alien gods. 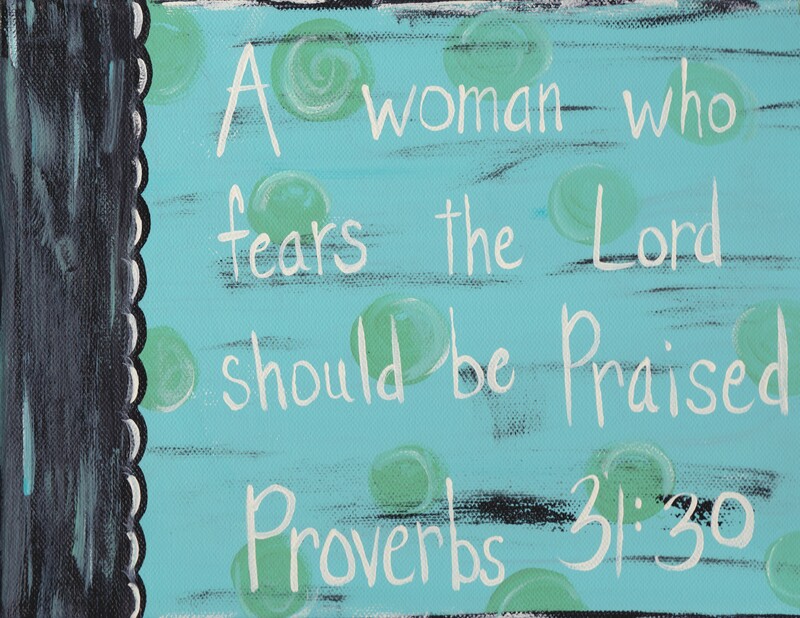 '” Now this is some scripture that calls you to self-examination. Ouch, I like it! I like having visual reminders of truth all around me, it fulfills the need to be reminded where my hope lies. 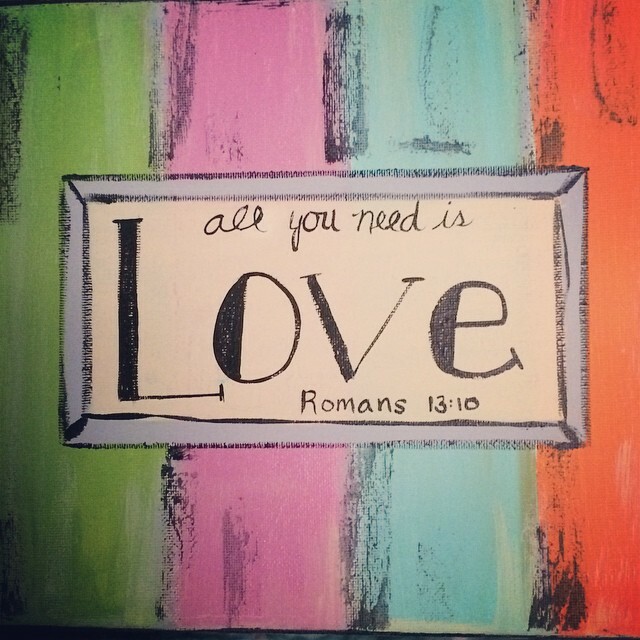 Much of my personal home decor carries a spiritual theme, be it a Bible verse, decorative cross, or inspirational painting. When I place Joshua 24:15–“As for me and my house, we will serve the Lord”–prominently in my foyer, I’m not proclaiming my little family has “arrived” or perfect. I’m proclaiming we are a family in constant dependency on God, who is perfect. I was once taught a proverb that says, “Place something for the eye to see, so the heart will remember.” That proverb pretty-much describes what I want A Little Happy designs to do. In fact, that’s what this ministry is built on–using words and images to help people remember their only true source of happiness is God’s enduring love for us all. These designs and many others are available on canvases, magnets, note card sets, and select designs on t-shirts. If you know of a charity that would like to partner with A Little Happy, or needs a donated item for their charity event, please email me. And be sure you come see me on October 18 at the Wesson Flea Market!